After nearly eight months of investigations spanning six states during which over 300 witnesses were examined, 950 “incriminating documents” and 600 electronic devices were seized, the National Investigation Agency has finally filed the chargesheet in the “terror funding” case that shook Kashmir in 2017. The chargesheet is the culmination of a targeted investigation by the agency against the separatists. These findings came about after a senior Hurriyat leader and chief of Jammu Kashmir National Front, Nayeem Khan, was caught on camera purportedly boasting about how Hurriyat organises protests in Kashmir for cash. He spoke of a network of foot-soldiers and how they sometimes resort to violence and arson. Filed at the NIA's special court in New Delhi on Thursday, the chargesheet names 12 people. It names Kamran Yusuf, a photo journalist working with a local daily, as an accused in the case filed on 30 May, 2017. Jamaat-ud-Dawa chief Hafiz Sayeed and chairman of United Jihad Council Syed Salahuddin, the “handlers” and “conspirators” of protests in Kashmir, are among the dozen booked in the case. 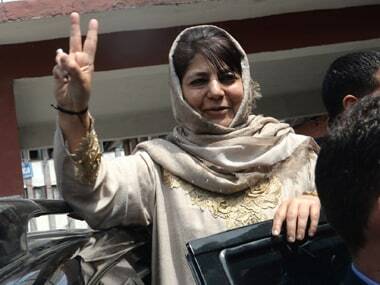 “The threadbare scrutiny and analysis of the documents and digital devices established that the accused are carrying out terrorist attacks and orchestrating violence, stone-pelting and other subversive and secessionist activities in Jammu & Kashmir as a part of their well-planned conspiracy hatched with the active support, connivance and funding from terrorist organisations based in Pakistan and its agencies to achieve their objective of secession of the State of Jammu & Kashmir by waging war against the Government of India,” the chargesheet claims. Waging war or pulling strings? When the NIA made its first arrests in the case, there was a sense of disquiet and shock in the Valley. 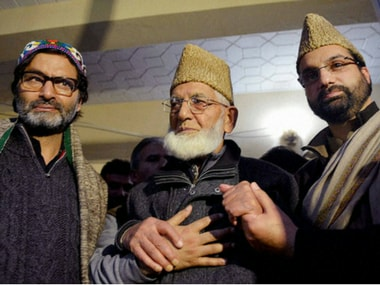 Initially when Nayeem Khan was arrested, the Hurriyat trio of Syed Ali Geelani, Yasin Malik and Mirwaiz Umar Farooq did not make any statements on the arrest. Khan at point had already made startling disclosures about the “modus operandi” of the separatists. However, when the investigations widened and the close aides of the trio were arrested, they resorted to hartal politics by issuing shutdown calls. The arrests also coincided with the appointment of Dineshwar Sharma as a special interlocutor for Jammu and Kashmir. While the Hurriyat announced that they would not talk to Sharma, it also alleged that the Centre was using the NIA as a “tool to force Hurriyat” to meet its special representative. Sharma later met a key Hurriyat leader, Abdul Ghani Bhat and a middle-rung separatist, but without much success. The Hurriyat repeated the charges in a press conference, hours after the NIA filed the chargesheet at Patiala House Courts on Thursday. “We (Hurriyat Conference) will not surrender no matter how much pressure New Delhi builds on us by using its military policies. 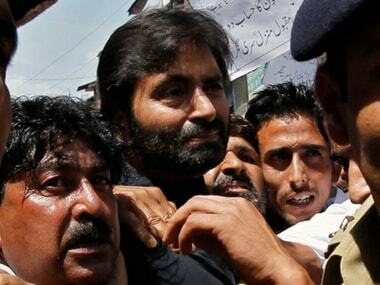 The chargesheet against Kashmiri separatist leaders and a businessman is baseless and a concoction of falsehoods. Our leaders have been kidnapped by the Centre and lodged in Tihar jail where they are being subjected to bad treatment in order to break their resolve,” Geelani said over phone while addressing reporters at Mirwaiz’s Srinagar residence. While the arrest of any Hurriyat leader was unimaginable just a few years back, the NIA raids have changed the narrative. It has disregarded the 'sacrosanct' image of the separatists who were considered holier-than-thou in Kashmir’s turbulent politics. The events in the case also raised significant questions on the absence of a meaningful political roadmap with the Hurriyat for resolving the Kashmir problem and the lack of moral character in some of the separatists. While the Hurriyat's influence has shrunk, all has not been rosy for the mainstream players like the ruling Peoples Democratic Party and the National Conference either. Their leaders are still unable to venture into their constituencies in parts of south Kashmir due to the fear of militants. This is where an opportunity has presented itself which can open the doors of dialogue with the people of Kashmir. But New Delhi must not misread the deceptive calm in the Valley as the return of peace. “This (military) approach by the government of India and the entire manner in which the NIA chargesheet is being projected to give the impression that all the kingpins are behind the bars, that a major breakthrough has been made, and that is why there is silence …. 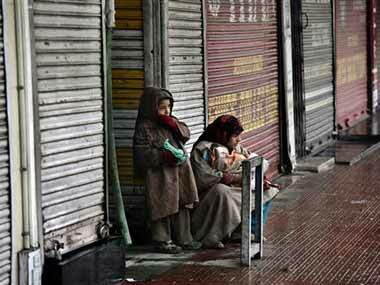 what is silent in Kashmir,” moderate Hurriyat chief Mirwaiz told reporters. “Religious rights, political rights, social rights, civil rights have been usurped. We are not even allowed to meet. We are not even allowed to go to the mosque. We are not even allowed to offer prayers. We are not even allowed to have closed door meetings and seminars,” he said. “It won’t be an exaggeration to say the separatists lost a lot of ground after the NIA raids. But it is fallacious to see these arrests as some kind of miracle that will take care of the Kashmir problem. The last two years in Kashmir were drenched in blood. This must end. Violence can’t be a substitute for dialogue,” Professor Noor A Baba, a political scientist and policy analyst who teaches at the Central University of Kashmir, said.